If you and your spouse were married in a different country and you were expecting that country’s laws to supersede Texas law, do not get your hopes up. Under Texas law, all property possessed by either spouse at the time of divorce is presumed to be “community property” (i.e. divided equitably). In 2015, a wife filed for divorce and sought division of the marriage assets and liabilities under the community property theory. Here’s the catch – the Texas couple had gotten married in Mexico which allows a couple to select either a separate property or community property system to regulate the division of their property, if they decide to get divorced. The couple chose the separate property system. The husband raised the issue in court arguing that their divorce had to be managed through a separate property system. He produced a copy of their marriage certificate that included the separate property standard. However, the marriage certificate was not signed by the wife. At trial, the husband testified that they signed the application concerning separate property treatment, but the wife testified that she had no recollection of signing the application. She claimed her husband handled the paperwork and she did not even remember discussing this issue prior to getting married. Under Texas law, to overcome the community property presumption, a party bears the burden of presenting “clear and convincing” evidence that property is separate. This often entails tracing the origins of the asset and identifying which property is separate. For example, if you opened a savings account prior to your marriage and only you made contributions to the account and your spouse was not a designated beneficiary on the account, you could make a claim that this account is separate property. However, if your spouse supported you in your career, which resulted in you making more money and you used that money to contribute to the account, an argument could be made that the account qualifies as community property. 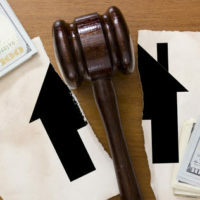 The trial court actually found that the couple did in fact choose to treat their marital property as separate property, but the husband failed to overcome the community presumption under Texas law. Why? Because the husband failed to provide evidence of tracing the the source of funds that would allow him to argue that his assets are separate property. This was simply insufficient to meet the “clear and convincing” standard under Texas law. The husband appealed arguing that the marriage certificate substantiated his claim that there was a premarital agreement enforceable in court to treat their assets as separate property. The appellate court found that the marriage certificate did not meet the requirements of a valid and enforceable premarital agreement under Texas law, even with the testimony of a proffered expert submitted by the husband’s counsel. Deciding to end a marriage is a major life decision and, as you can see from the case above, can become quite contentious between the parties. This is why you should retain the experienced, professional Houston divorce law firm of Lindamood & Robinson, P.C. to handle your case. We will will ease your stress and help you get through this difficult process.